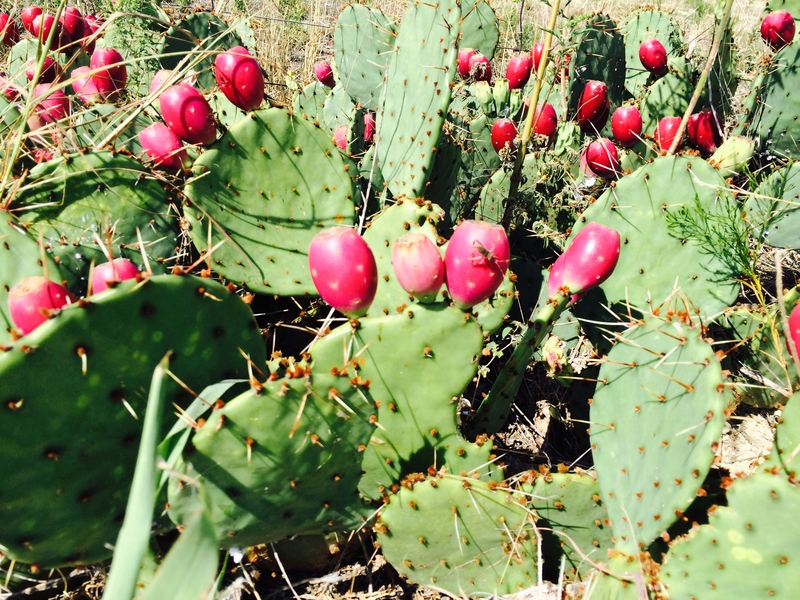 Prickly Pear grows in the most unlikely of places. I once saw a robust patch at an oil change station in Virginia. But in the Southwest, they are ubiquitous. 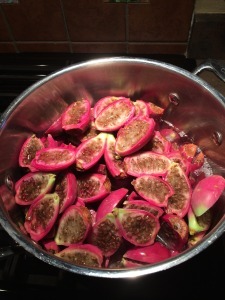 While driving through Texas recently, I could not resist harvesting the fat fruit in late autumn’s burst of heat. 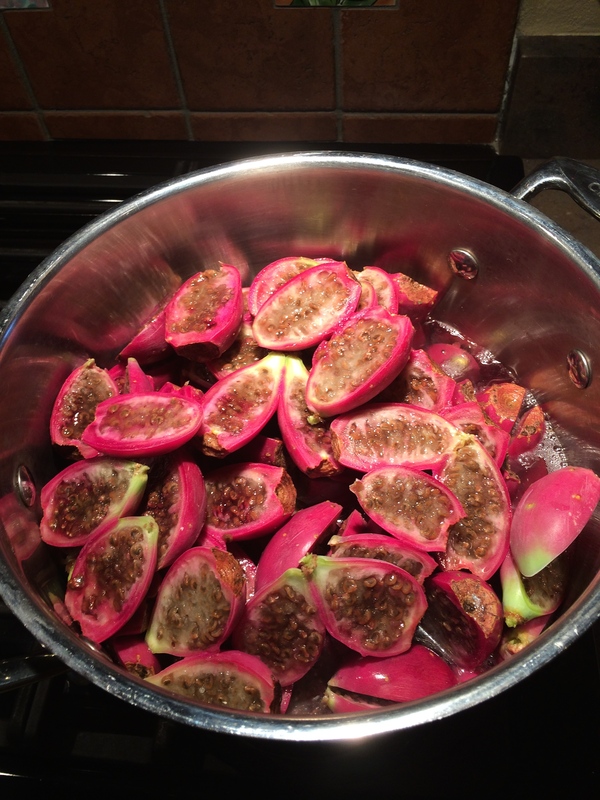 Using barbecue tongs, the “pears” were ripe, and easy to break off, like a ripe tomato. More difficult, was removing the glochids, the tiny barbed spines on the claret colored fruits. (I think this variety was Opuntia rufida, or blind prickly pear, but I’m not sure). 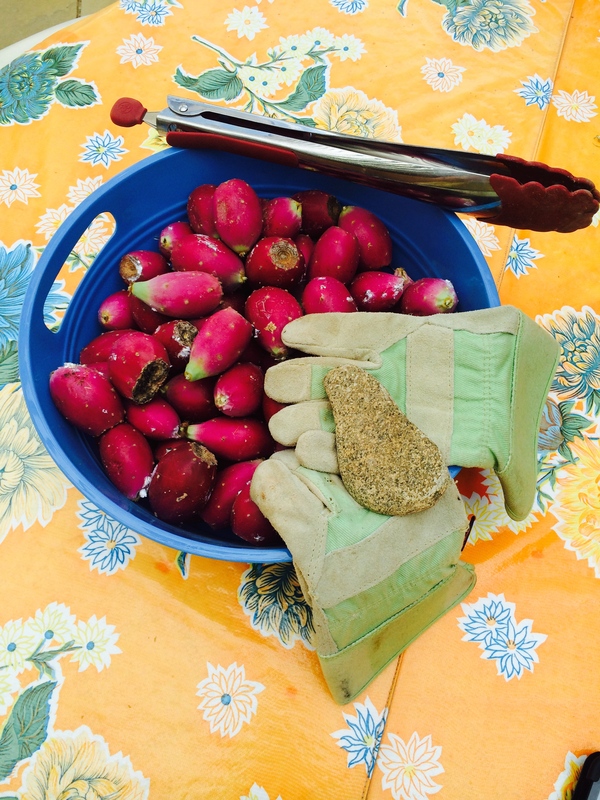 I used leather gloves, tongs and a small rock to rub the fruit free of those nasty barbs. I was stricken, but not so badly. Next, is cutting the fruit, and adding enough water to cover, but not make them float. Err on the side of less. Then strain. I used cheese cloth, but next time will use a jelly bag. 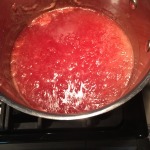 I boiled and strained twice, then added sugar and pectin. 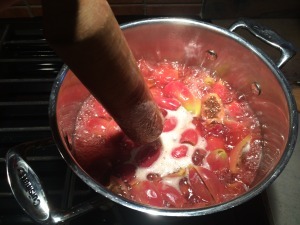 The fruit boils down to small amounts but for the 2-1/2 per 5 cups of sugar, I reduced the sugar and halved the pectin. 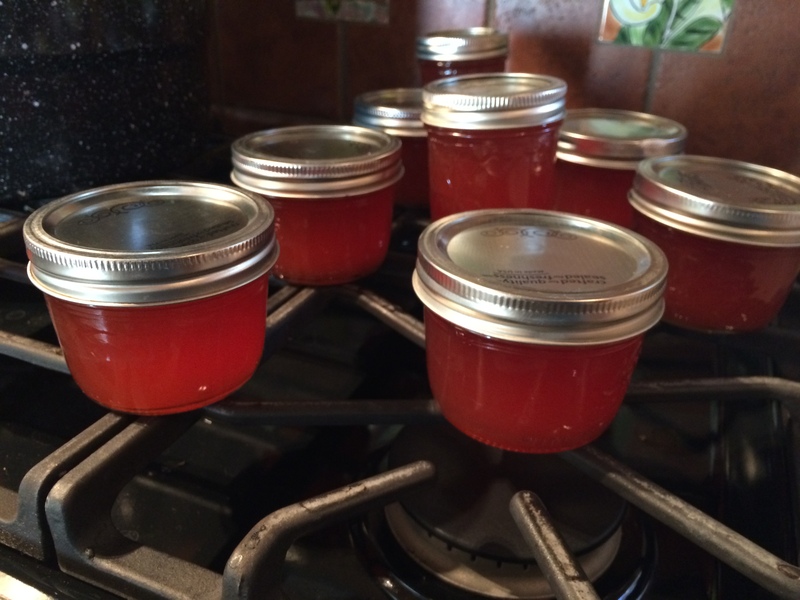 The fruit has a lot of natural pectin. I used this recipe. 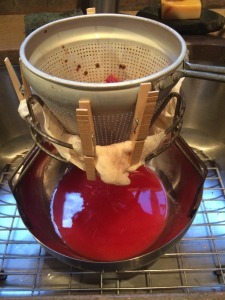 Next year I would like to try some juice and perhaps use the pads as well. 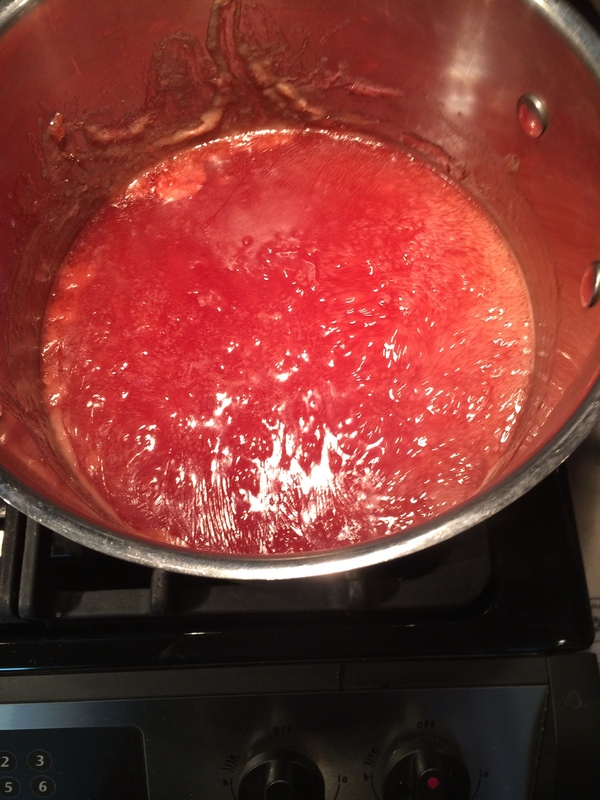 But the jelly and the super rich color for this year is worth it.